The final session of the Tattersalls December Mares Sale is often a really low-key affair, where even a single bid of 800gns can be a good result. While there are still plenty of people around, this place usually clears out once they make their way to Stansted for the Arqana flight. The ring briefly woke up when a pair of Moorstown Stud mares failed to sell at 120,000gns and 125,000gns. Lot 2384, Dulcet Tones, a half-sister to Group 1 winner Ambivalent, is the dam of four foals, several of whom were announced as not being registered with the General Stud Book. She fails to sell for 120,000gns. She was followed in by lot 2385, a sister to Group 3 winner Miss Marjurie who wasn't even named when the catalogue went to press - 125,000gns not sold. 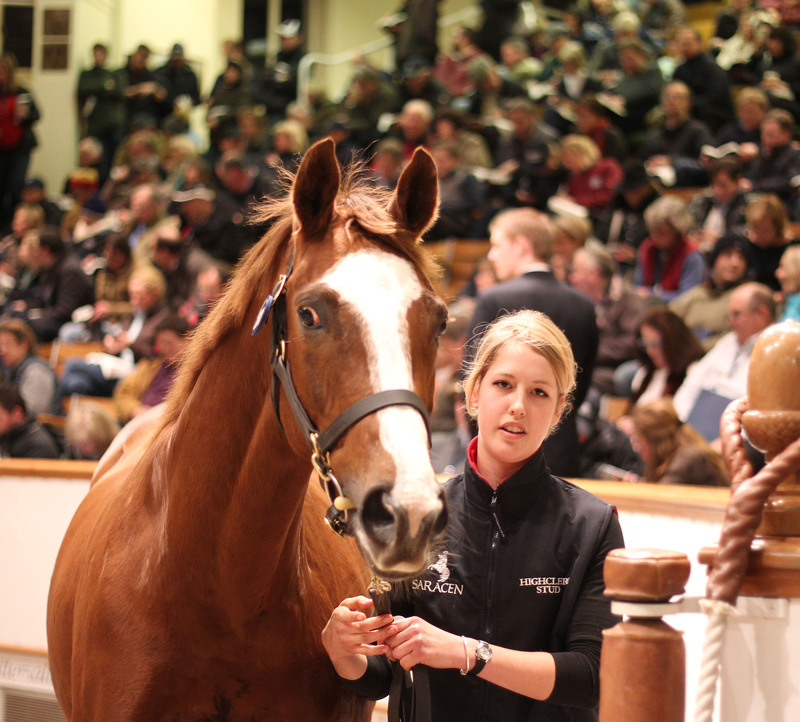 Leads the way so far having been sold for 18,000gns to Paul Venner of Baileys Horse Feeds. The mare has been bought to go to the Mill Reef Stakes winner Supplicant, who will stand the 2016 season at Petches Farm. The Indian Ridge mare was not covered this year but she is a daughter of top sprinter and has some interesting foals to run for her, notably a yearling filly by Sepoy. Otherwise, the average is running at 4,456gns for 36 per cent sold. It might be the last day of the sale but work hasn't let up for Charlie Gordon-Watson Bloodstock. 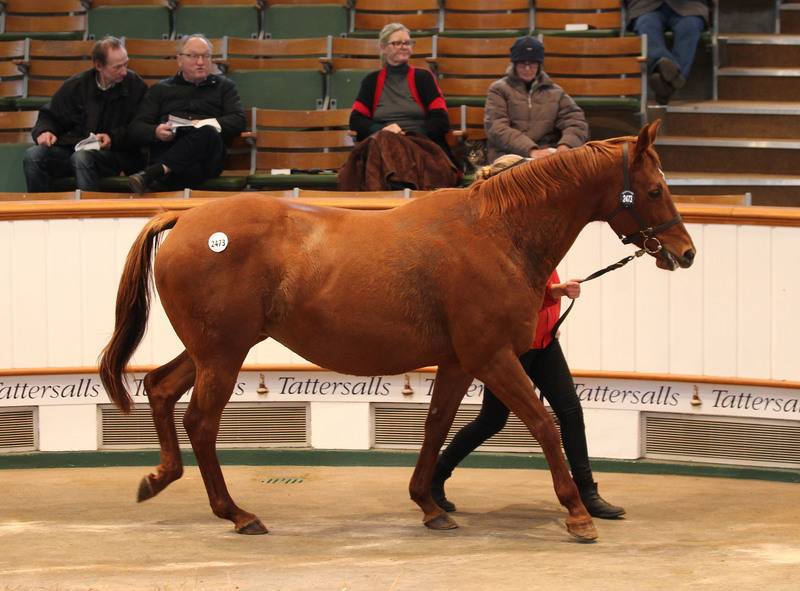 His third purchase of the day is this mare, a Canadian stakes winner who sells in foal to Farhh for 18,000gns. The daughter of Polish Navy is a proven producer as the dam of four winners, among them the Listed-placed Nabbaash. This is always a very weak day that serves as an outlet for moving on stock. But it would seem we're lacking the level of foreign investment of other years, particularly from the Middle East. Another picked up this morning by Will Douglass of Charlie Gordon-Watson, in this case for 20,500gns on behalf of a Qatar-based client. Like Poppo's Song, My Heart's Deelite was a smart filly: she won four races and was third in the Listed Fashion Stakes. She has bred five winners and is in foal to Poet's Voice. "She is a pretty mare with a good record and I like her covering sire Poet's Voice," said Douglass. "I thought she looked good for her age." 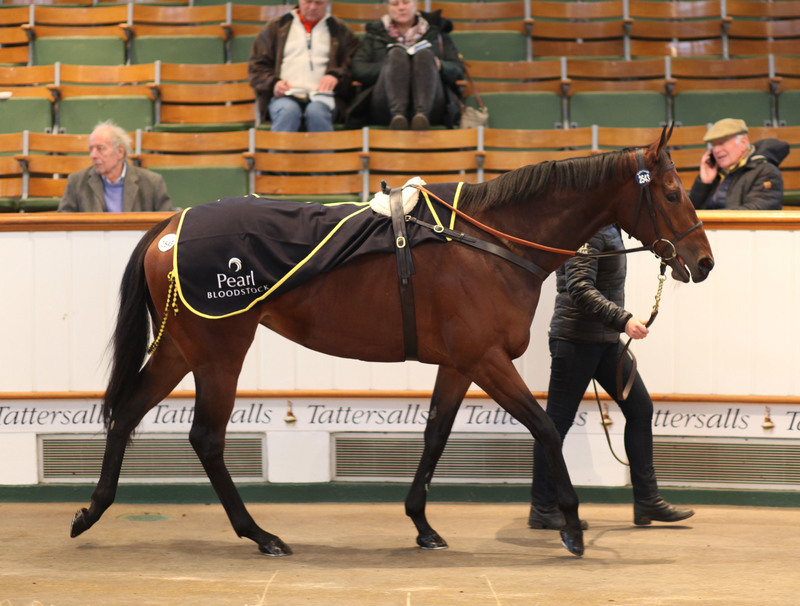 Young winning Shamardal mare is snapped up by Charlie Mason of Silfield Bloodstock for 21,000gns. Sold by Houghton Bloodstock, she is a half-sister to Listed winner Baseman and out of the 1998 Pretty Polly Stakes runner-up Attractive Crown. 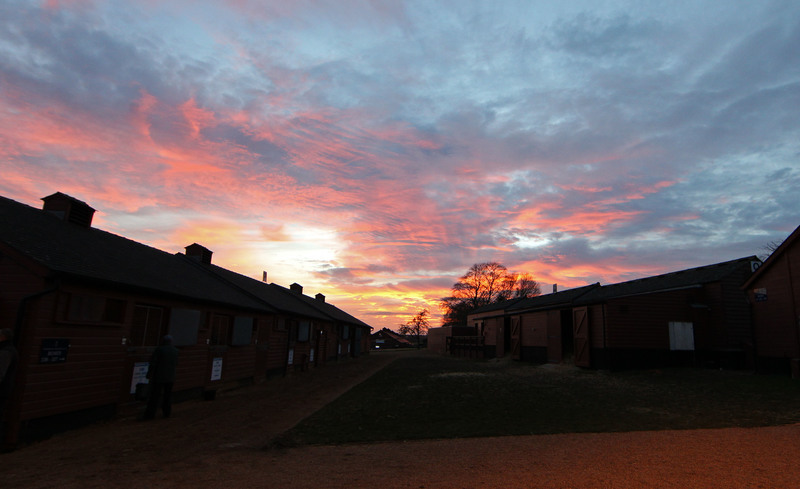 We can't leave Tattersalls without giving a mention to prominent Saudi Arabian buyer Ibrahim Rachid. 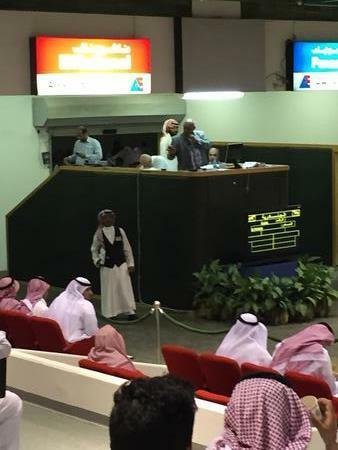 Rachid is many things - auctioneer, stallion master, buyer and seller among other things. He is a regular at this sale, where his flamboyant manner, such as bellowing at the auctioneer, now generates much amusement. Rachid has had a productive week, signing under various different names which can't be divulged. What we do know is that his request to open up an account under the name 'Love In The Desert' was recently declined by another sales company. "I've had a great time," he says. "I've bought a couple and had fun, so it's been successful." New top lot for the day as Stuart Boman of Blandford Bloodstock outbids the BBA Ireland at 32,000gns for this filly, a recent winner at Southwell for Olly Stevens. The daughter of Invincible Spirit also boasts one of the better pedigrees of the day as a half-sister to the Group 3-placed Zumbi and Listed-placed Say No Now. It is also the further family of Dream Ahead. "She's a sweet Invincible Spirit filly," said Boman, signing on behalf of an undisclosed client. "She's now a winner and obviously it's a family that Blandford Bloodstock have done well with [through Dream Ahead], so it made sense. She'll be retired and covered." We might look back on this particular filly as being well bought at 17,000gns - by Dubawi, she is a four-time winner half-sister to Group 2 winner Junoob, still running with credit in Australia, and out of a half-sister to Lahib. Toby Coles signed the ticket. The auctioneers at Tattersalls are earning their money today. They're possibly working harder today than they have on the big days. Shalabina, a winner at Nottingham earlier in the year for Middleham Park Racing and Richard Fahey, is likely to to race on next year following her sale for 26,000gns to Peter Kelly of Emerald Bloodstock on behalf of an undisclosed client. Final plans remain unconfirmed for the daughter of Nayef, who is a half-sister to the Group 3-placed Shebella and Shirkapour and from the further family of Shahrastani. 2011) Hanky Panky (IRE) Ch.M. by Galileo (IRE) x Mariah's Storm (USA), sold by Highclere Stud for 2,700,000gns to John Ferguson Bloodstock. In foal to Dubawi. “Annual turnover in excess of 260 million guineas, second only to last year’s record, and the highest price for a broodmare at public auction anywhere in the world this year brings the Tattersalls sales season to a successful conclusion. The Tattersalls December Sale is an annual focal point for the global bloodstock business, a showcase for the best bloodstock to be found in Europe, and as ever, we have welcomed buyers from every continent in the world to Park Paddocks over the past two weeks. "Individual December Sale highlights have included the 2.7 million guineas sale of the outstanding broodmare Hanky Panky, the 2.1 million guineas paid for European Champion Tiggy Wiggy, and the highest priced foal sold in Europe this year. Looking at the Tattersalls sales season as a whole, we can also reflect on record turnover for yearlings with more than 130 million guineas spent at the October Yearling Sales, and the highest priced auction yearling in the world for the fourth consecutive year. None of these highlights would have been be possible without the wonderful support we have received from the consignors and to see vendors from Britain, Ireland France and America all amongst the top ten lots this week is a tribute to the enduring global reputation of the December Sale. “While international demand for quality thoroughbreds remains strong, it would be wrong to gloss over some warning signs at the less commercial end of the market. The number of horses we have offered this year has increased by more than 500 and such a significant rise has resulted in a more selective market, particularly at the lowest levels. Matching supply with demand is always a delicate balance and we will be aiming to manage the numbers carefully in 2016. “The conclusion of every Tattersalls sales season is a time for us to express our gratitude to all of our clients for their continued support. This year I would also like to pay tribute to David Batten who has been a key member of the Tattersalls bloodstock sales team for more than 45 years and has organised the December Sale for more than two decades. David retires at the end of this year having made a huge contribution to the firm and we wish him well for a long and happy retirement."